SundanceTV's first original series marked one of the best series finales to date, ending in the ethereal beauty between reality and hope. 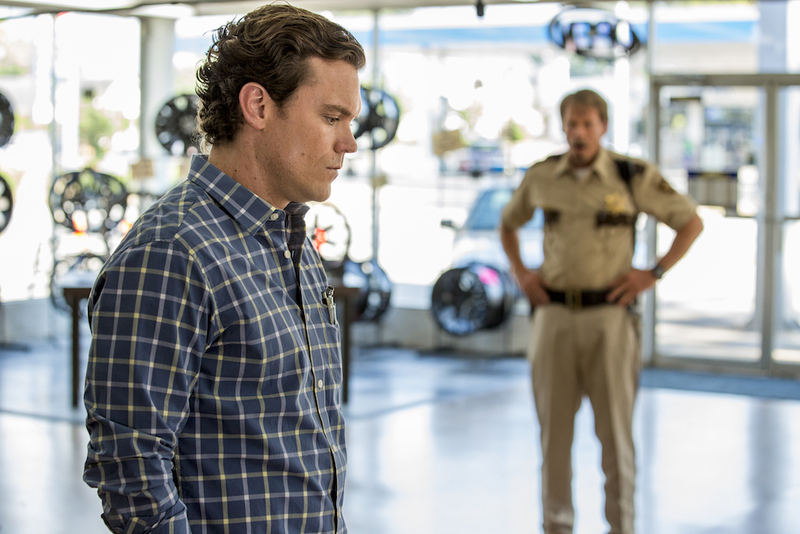 If a series finale is to be graded on fulfilling a promise made at the start of it all, then “Rectify’s” last episode should be held among television’s elite endings. A fitting place for a series consistently revered by those who sought it out, “Rectify” solidified its place in the history books Wednesday night by providing resolution for a man who’s been struggling with finding it for himself. After accepting his ultimate fate behind bars before being asked to redefine his future on the outside, Daniel Holden, released in the series premiere after 19 years on death row, is only now finally free. So much can be derived from the overtly positive outlooks of “Rectify’s” cast of characters, who also seemed to find fitting ends within the extended episode. Opening on a memory of Janet (J. Smith-Cameron) and Amantha (Abigail Spencer) debating how they should feel on the day of Daniel’s release and ending on a fantasy within Daniel’s mind of Chloe (Caitlin FitzGerald), her baby, and himself in a field of wheat, Ray McKinnon (the show’screator, writer, and director) focused on internal resolutions more than worldly finality. But there was still satisfaction to be found in the narrative’s strict reality. Beyond how significant it was for Jon (Luke Kirby) to finally find the law working in his favor, the D.A.’s decision to reopen Daniel’s case and work to expunge his record from responsibility brought closure to the family and thus to viewers, as well. Seeing those affected — from the despicable Trey (Sean Bridgers) to a stroke-ridden Senator Foulkes (Michael O’Neill) — watching the announcement on TV, brought memories flooding back with each cut and provided just enough of an answer to whether or not Daniel really had a hand in Hanna Dean’s death. Even before the formal announcement, such questions were probably best summarized by Sheriff Daggett (J.D. Evermore). When Teddy (Clayne Crawford) asked if the sheriff still thought Daniel did it, Carl said, “Between me and you and these tires, not really. I feel pretty sure he didn’t do it. But then, I felt pretty sure before.” His allusion to the mistakes of the past solidified all we needed to know in regard to Daniel’s innocence, even if that night and its many complexities will remain a mystery forevermore. But what was needed was given, allowing the Talbot and Holden families to move forward. Janet and Ted Sr. (Bruce McKinnon) will forge on together, doing what they please, where they please, with the newfound freedom found from selling the tire shop. Ted Jr. seems ready to move on from his failed marriage and upward with his life in general, especially after apologizing directly to Daniel; a burden he’s been carrying long before he knew it. Tawney (Adelaide Clemens), after learning about herself and her beliefs during her time as a nurse, is equally prepared for a future of her own making. Such a simple truth obtained over such a long, difficult period makes for an ideal ending to Amantha’s complex arc. She’s worked so hard over the course of “Rectify” to find herself because she spent nearly two decades sacrificing her identity for her brother. Accepting the present, the now — the current moment in time she alluded to with her mother at the episode’s beginning (a.k.a. the start of the series) — was key to her finding happiness in the future. Now she can. And so can Daniel. A few weeks back, Daniel was talking to Chloe about his struggles. “Why are you telling me this?” she asked. “I’m a romantic and you’re the girl,” Daniel responded. When taken literally, the exchange is true. Chloe wasn’t sent (by God or by Ray McKinnon) to save Daniel. She wasn’t meant to pull him out of his difficult life and away from his past. She wasn’t simply a distraction from his troubles, as she would have otherwise been. But “Rectify” doesn’t exist in a literal world. 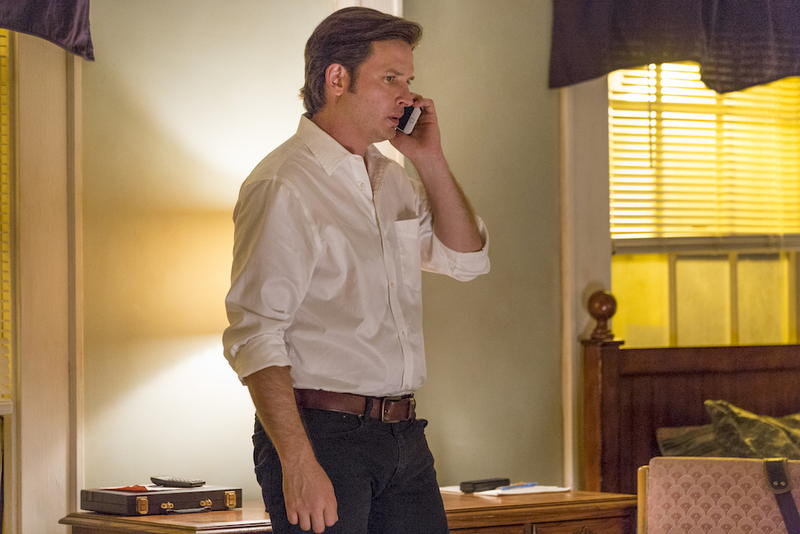 As illustrated throughout the episode — but perhaps most prominently in a perfect and beautiful scene between Daniel and his old friend from prison, Kerwin (Johnny Ray Gill, in a most welcome return to the show) — “Rectify” has always dealt primarily with the figurative; the existential; the space between what we see in front of our eyes and what we believe in our minds. Here, Chloe did save Daniel. As he laid back in his bed, dreaming of a future he once couldn’t bear to imagine, he pictured his true love; their child; a world where they could all be together. Did the literal narrative end with Daniel and Chloe in a field of grass, baby in her hands, both of them in his? No, I don’t believe it did. But who’s to say it wasn’t in Daniel’s future? Not I, and not Daniel. That’s what matters: the space between.